Exchange Anywhere: Microsoft Workplace Analytics now Available ! Every Organisation's success rely on its Employees productivity for its success, Making your employees productive is not just something that is easily achievable, you need to enable them with the right tools to perform their work effectively, setup a collaboration platform that can make them engage more with one another to effectively deliver the results. Microsoft Office 365 provides the right platform to achieve the fore said productivity for your employees by giving them the right tools and one such great tool for employees to know their personal productivity is "My Analytics" . My Analytics helps your users understand how they collaborate with colleagues and spend their time at work. The dashboard gives them the tools that help them to prioritize their work and spend time more effectively. Only your Employees have access to their MyAnalytics dashboard. MyAnalytics does not include any settings that provide anyone else in your organization access to the Employee's My analytics dashboard. 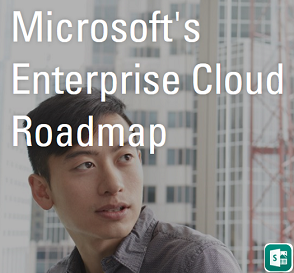 MyAnalytics is available as a part of Office 365 Enterprise E5 license or it can be purchased as an add-on with select Plans. Its fine that you enable your employees to know and manage their Productivity, How your business leadership team know the productivity at an Enterprise level, to address this need, you now have the latest add-on for Office 365 "Microsoft Workplace Analytics" . 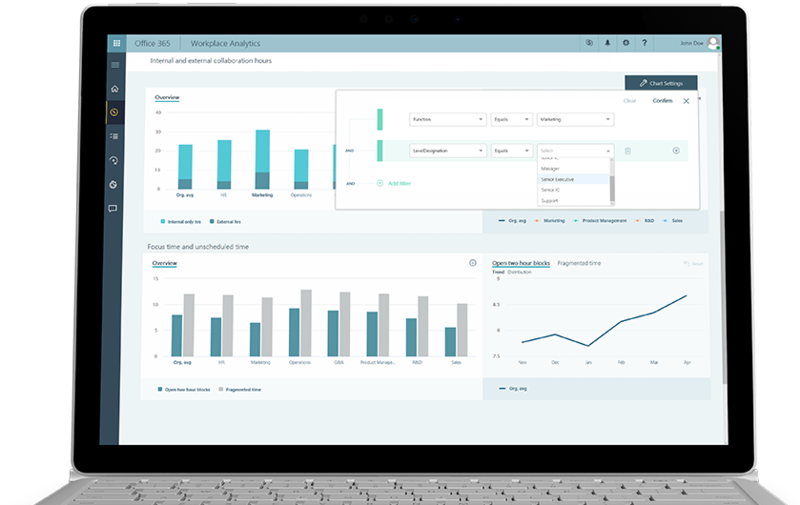 Workplace Analytics leverages Office 365 collaboration data to deliver powerful new insights for enterprise productivity. It helps your business leaders understand collaboration patterns across organisations that influence productivity and employee engagement. 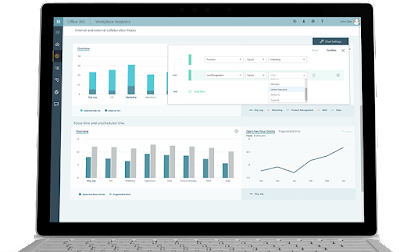 Workplace analytics is an add-on that can be purchased separately with any Office 365 Enterprise plan. 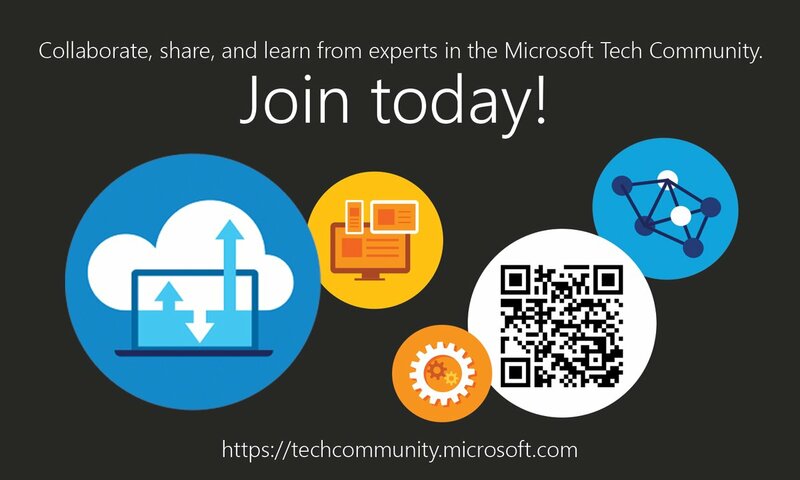 Be sure to know the latest updates in the "Workplace Analytics" space in Microsoft Tech Community. Having both My Analytics for Employees personal productivity tracking and Workplace analytics for enterprise productivity tracking , empowers your Organization to become more productive and one step a head in driving towards your Organisational goals.